HARRISBURG, Pa. (WPVI) -- Pennsylvania Gov. Tom Wolf has issued his first act of clemency in more than two years, commuting a drug dealer's life sentence. Sixty-year-old Benny Ortega had already served 22 years in prison for selling marijuana and cocaine. He now must serve a year in a state halfway house before being released into the community. A spokesman for the governor says Ortega had taken steps toward rehabilitating himself and that the governor viewed his sentence as "egregious and inhumane." 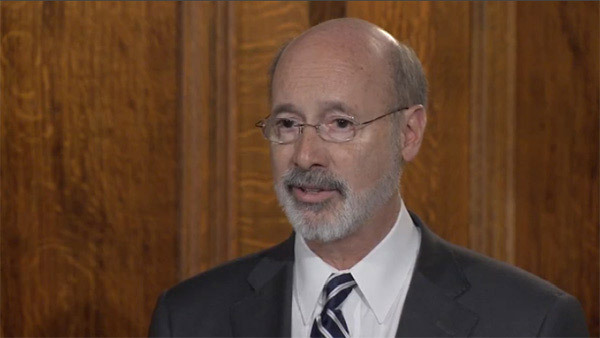 The commutation is Wolf's first since 2016 and only the governor's third since taking office in 2015. For inmates sentenced to life in prison in Pennsylvania, there is no parole. Commutation is the only path to release.